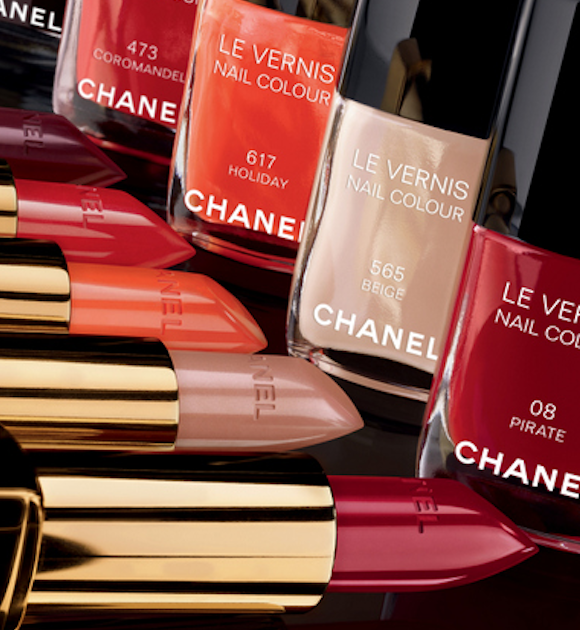 Chanel just relaunched their Rouge Allure range (my favorite kind of Chanel lipsticks: no rose smell and not a drying formula) and have made a few gorgeous additions to the range, among which a few fantastic reds. Those come with matching nailpolishes for a stunning effect. While Pirate is an iconic color that I was prepared to adopt and love, it turned out that this one pulled more raspberry on me, which wasn't what I was after. So instead I chose the beautiful Coromandel (named after the perfume, I suppose). Coromandel is a gorgeous deep red with a slight bit of orange in it. I think that's what will make it wearable all year long: orange based reds are brightening in the Winter but also look gorgeous in the Summer. The finish is satin, and the Rouge Allure formula is generally very comfortable to wear. Yes, I am aware I did go overboard on the glow, I don't care! Have you tried the new Rouge Allures? What shades are you loving? I don't think you went overboard on the glowy, your skin looks really lovely! Your skin looks lovely and Coromandel is gorgeous!!!! I've seen you went back to YSL Faux Cils, was Givenchy Noir Couture that similar to Faux Cils??? I'm about to get a replacement for my Noir Couture (after 3 months, it's time to) and I'm wondering if I should repurchase or try something new. That shade is so lovely! Terrific color on you, and I love the pairing with the purple jacket.